Kiff Slemmons's hand-shaped tribute to Emily Dickinson. Photo Rod Slemmons. 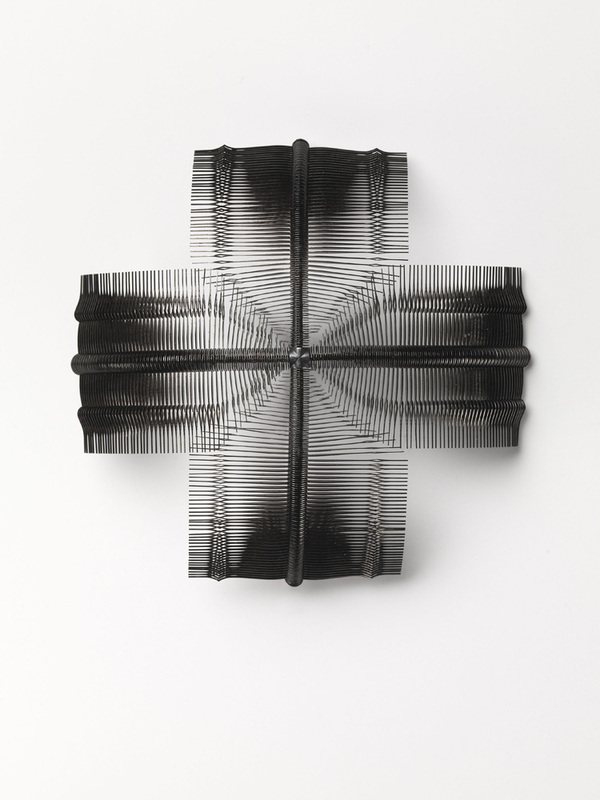 With artist-made contemporary jewelry now entering the collections of fine arts museums, it seems no longer subject to debate, if it ever was, that such work is art. It has not been debatable at the Museum of Arts and Design, which, since its inception in 1956, has championed this field. Inspired Jewelry, presenting more than 200 works from its choice collection—now on display in its entirety in MAD’s Tiffany & Co. Foundation Jewelry Gallery—confirms the expanding boundaries of this vital art form. The book is organized by decades, starting from the 1940s and extending into the 2000s. The works are presented dramatically one to a page, sometimes one to a spread, suggesting that no matter how small-scale they are in reality, they command attention for their original aesthetic vision and technical virtuosity. MAD is fortunate to own drawings of particular pieces, so that with necklaces by Herman Jünger and Boris Bally and brooches by Gio Pomodoro and Jamie Bennett, a reader can view the work and its related drawing on facing pages. Ursula Ilse-Neuman, MAD’s jewelry curator, emphasizes the variety and global reach of artist-made jewelry and sketches its major impulses or inspirations—modernist, surrealist, sculptural, organic, minimalist, conceptual, textural, painterly, narrative, technological, and more. What is most striking is the extraordinary diversity of materials jewelers employ beyond precious metals and gemstones—aluminum, stainless steel, wood, plastic, paper, glass, feathers and found objects, from watch faces to gun triggers. 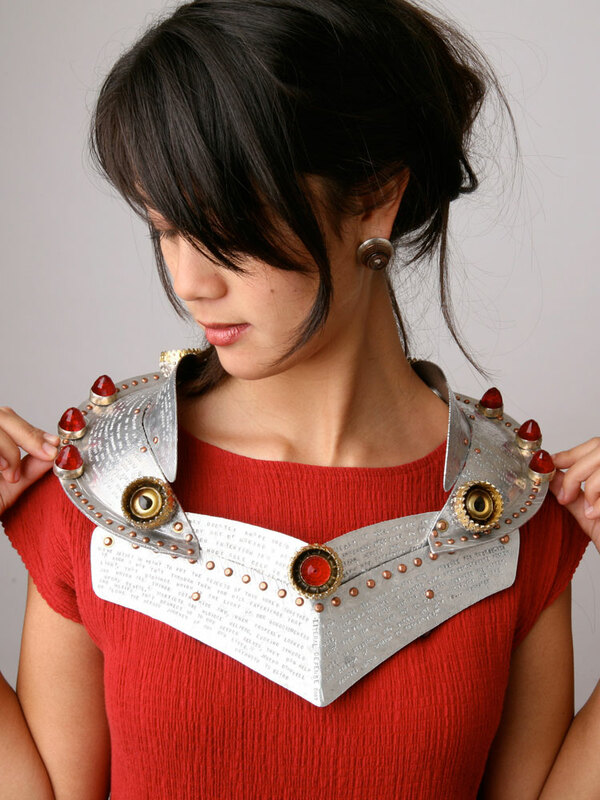 Those interested in the combination of narrative vein with the ingenious use of natural and found objects in the jewelry of Nancy Worden and Kiff Slemmons—both in the MAD collection and both mentored by Ramona Solberg—will find much to explore and enjoy in two books that convey the technical complexity and psychological depth these artists have added to the direction pioneered by Solberg. 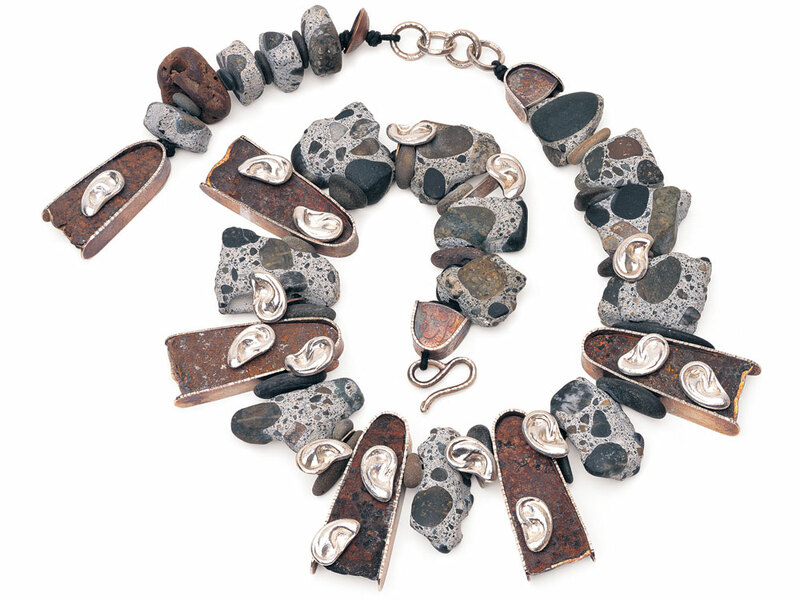 The works in Loud Bones, the catalog of Worden’s recent 30-year retrospective, are primarily neckpieces, remarkable for their size and for the bold mixture of wildly disparate elements, combined by Worden through a variety of rigorous techniques to convey personal and political meanings relating to conflict and resolution. Insights into the turbulent life experience expressed in Worden's audacious works are offered by an art historian and a law professor who happens to be an authority on conflict resolution. Nancy Worden The Good Omen, 2004, silver, steel, concrete, pebbles. Collection of the artist. Photo Rex Rystedt. Nancy Worden Literal Defense, 2007, aluminum, silver, brass, copper, glass eyes, vintage glass, 23K gold leaf, plastic, leather. Collection of the artist. Photo Rex Rystedt. 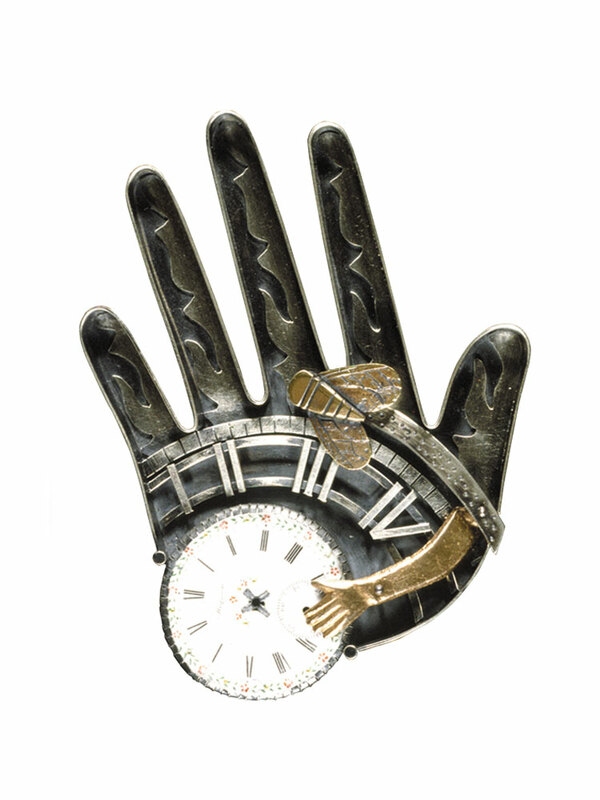 Sergey Jivetin Intersection Brooch, 2004, watch hands, silver. Museum of Arts and Design collection. Photo John Bigelow Taylor. 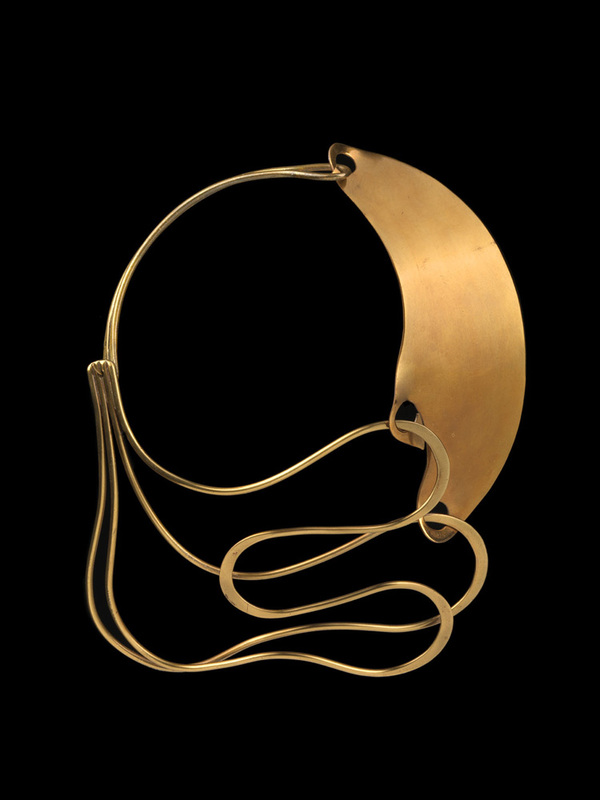 Arthur Smith, Neckpiece, 1948, brass, forged, assembled. Museum of Arts and Design collection. Photo John Bigelow Taylor. 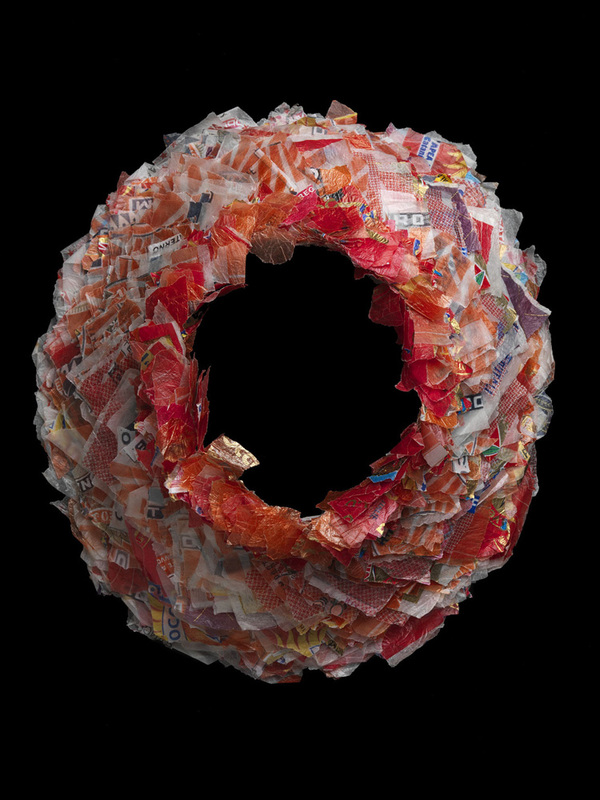 Verena Sieber-Fuchs Apart-heid (collar), 1988, fruit-wrapping tissue paper, wire. Museum of Arts and Design collection. Gift of Donna Schneier.